Read below to find out if your fit this job role! You must have background experience as a Dispensing Optician or in a ‘Similar’ role – Preferred but NOT essential. You must be able to work to your own initiative as well as part of a wider team. You must be able to communicate well with patients and staff in the practice. You must be able to perform smaller day-to-day tasks such as dispensing, stock training and dealing with problems as they arise. 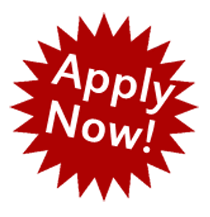 You must have at least 1 years experience working as a Qualified Dispensing Optician. You must be able to dispense across all levels. You must have a friendly and personable attitude to both customers and colleagues alike. You must be able to work closely with customers and demonstrate that you manage a strong rapport. You must have an understanding of dealing with high end products as this practice usually deals in large quantities around £500+ per order. In return for your hard work in this role you will be working towards a fantastic basic salary of up to £27,000. You will also have access to a very strong bonus scheme with additional benefits available to you. Not only that, but you will have the chance to work with a group of like-minded individuals in an environment where you can grow your skills.